After the bloody Taliban attack on an army-ran school that left 132 students and nine teachers dead, Pakistan intends to relinquish its moratorium on death penalty. "It was decided that this moratorium should be lifted. The prime minister approved," governmental spokesman Mohiuddin Wani said Wednesday. The move was proposed by a ministerial committee and approved by Prime Minister Nawaz Sharif, the official added. Wani said Pakistani courts would be able to issue “black warrants,” or execution orders, “within a day or two,” but would not give any detail on who may be executed and for what crimes. Pakistan keeps some 8,000 people on death row for various crimes, including terrorism, reports Reuters. But since 2008, when an unofficial moratorium on capital punishment was imposed, no execution has taken place in the country with a single reported exception. Muhammed Hussain, a soldier, was hanged in 2012 for murdering a superior officer. 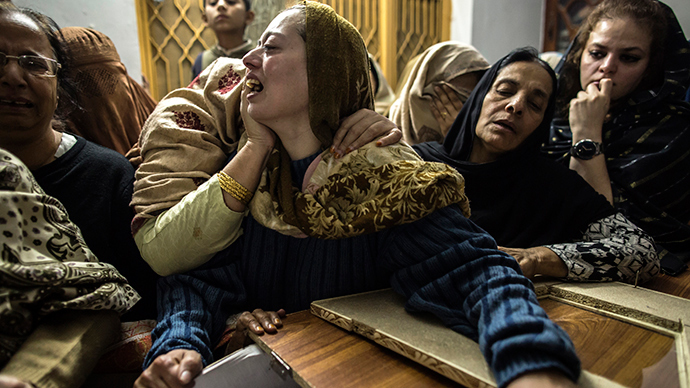 The attack by six Taliban gunmen on a school for children of the Pakistani military in the city of Peshawar was the bloodiest in the country’s recent history. The militant movement said it was retaliation for the intensive campaign Pakistan wages against it in the tribal area and a revenge for the deaths of family members of Taliban fighters killed by military airstrikes and raids. The killings of children sparked controversy even inside the militant movement itself. Taliban’s Afghan branch distanced itself from the act, saying such acts were against Islam.